Earnswood Medical Centre is no longer accepting repeat prescription requests from pharmacies. 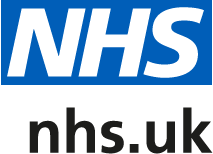 Register for the Patient Access System (you will need to collect a form from reception) and order your repeat prescriptions online or via an App on your mobile phone or tablet. Use the right hand side of your repeat prescription to tick the items you need and drop off or post this to the medical centre. Call our repeat prescription answer machine on 01270 376777. Ask if you can take part in ‘repeat dispensing at your next routine GP appointment. When you order your repeat prescriptions, please check what medicines you already have and only order what you need. Please tell your GP if you are no longer using any of the medicines on your repeat prescription list. Pharmacies will still be able to collect printed prescriptions from the practice and receive electronic prescriptions, and will continue to offer convenient opening hours and delivery services for dispensed medicines. Please allow 48 hours from ordering your repeat prescription to picking up the medication. Occasionally the doctor may request that you book an appointment to discuss your prescription request. All patients receiving repeat prescriptions will need to be reviewed by a doctor at least annually for monitoring and review of their medication.